Developer : Yummy and Yummy, LLC. Think you know your Professional American Football rules? 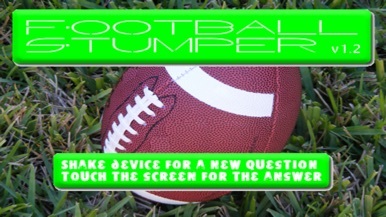 Test your skill with Football Stumper! Stump your friend or use it as a learning tool. 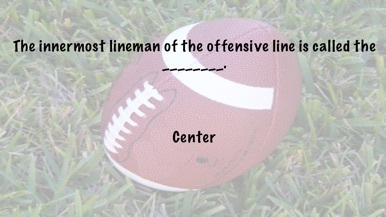 Just SHAKE your iPhone / iPod to see a new trivia question. When you think you know the answer just touch the screen. You will be shown the answer straight from the rulebooks! It's that easy and fun! Best of all - Updates are FREE! There are NO Ads in this application! Football Stumper works OFFLINE which means you do NOT have to be connected to the internet. Also, this application does not take up much space on your iPod or iPhone. We are very interested in continually enhancing this application and we value your reviews and e-mails so please keep them coming! More by Yummy and Yummy, LLC.